Preheat oven to 350 F. Mix the instant pudding according to instructions on packet (points based on fat free milk). Put in fridge to set. Mix all other ingredients together until moist and well blended. 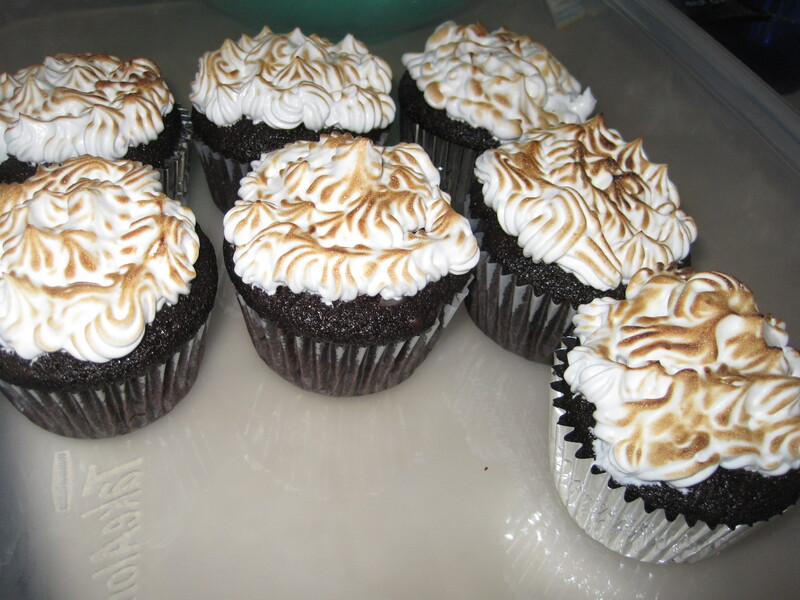 Put in a lined cupcake pan and bake for 20-25 minutes. Let cupcakes cool. 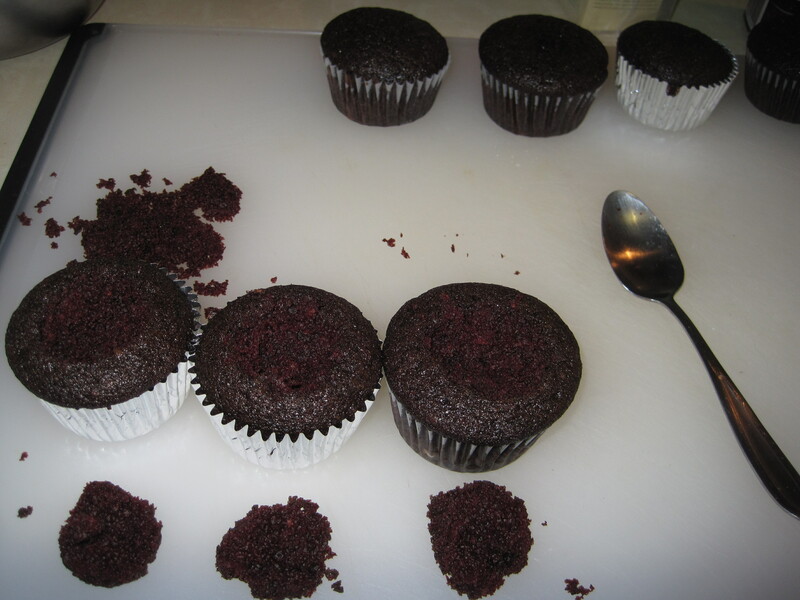 Once cupcakes are cooled, remove a “cone” of cupcake from the middle. 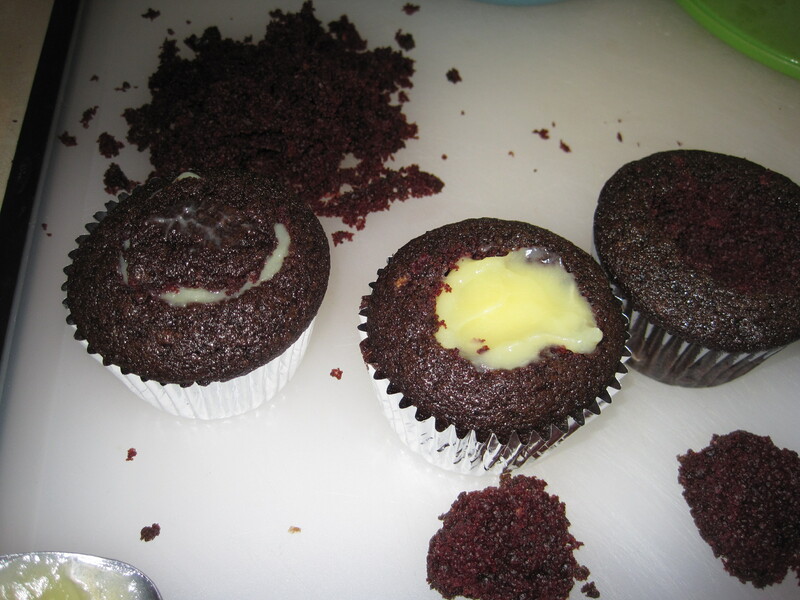 Remove the inside part of the cupcake while keeping the top. In the “cone” add the instant banana pudding. You should use about 1/2 cup of pudding for all 8 cupcakes. Combine egg whites, sugar, and cream of tartar into the mixing bowl of your stand mixer and set over a water bath. Whisk by hand for a few minutes until the sugar is dissolved and mixture is warm to the touch. Transfer bowl to electric stand mixer, beat on high-speed until stiff glossy peaks form, about 10 minutes. Add banana and vanilla extract. Beat on medium speed. 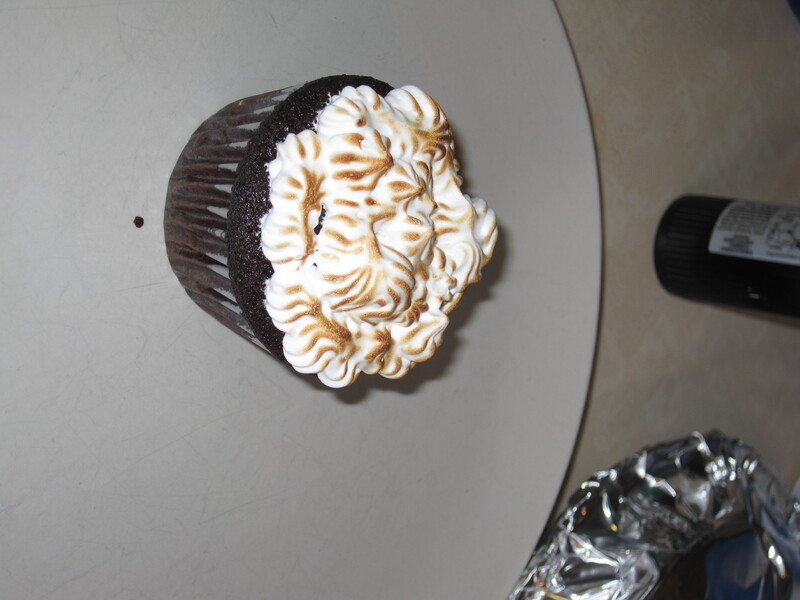 Frost the cupcakes using a piping bag and toast with a torch if you have one.